The U.S. Census Bureau announced last week that New York slipped to fourth place in population among the 50 states. Though babies still are born every day in my home state and immigrants still flock here, overall population growth lags because New Yorkers are abandoning the state. Don’t blame the weather. Blustery Montana and North Dakota are not having this problem. New Yorkers are escaping high taxes and dismal job growth. High-tax states Illinois and New Jersey, which has the second-highest tax burden in the country, are also losing residents. Families are uprooting and moving to places with lower taxes, more growth and fossil fuel-friendly policies. In the November elections, voters in Illinois expelled their high-tax incumbent governor, Democrat Pat Quinn, while voters in Massachusetts and Maryland rebuked tax-and-spend Democrats by putting their gubernatorial seats in Republican hands. Not so in New York, where incumbent Democrat Andrew Cuomo easily won a second term against his Republican challenger, Rob Astorino. Cuomo has made tweaks in the state’s tax policies by lowering the corporate income tax rate from 7.1 percent to 6.5 percent, exempting more assets from the death tax and temporarily capping annual increases in property taxes. None of these minor changes has moved the economic needle. According to the latest New York State Labor Department data, job growth in New York is half the national average. Astorino put forward a bold plan to cut taxes but got nowhere. Instead, New Yorkers are voting with their feet. So are New Jerseyans. Despite having a Republican governor, Chris Christie, they are among the most taxed Americans, and nearly 200,000 decamped in the past four years in search of a better deal. As Arthur Laffer, Steve Moore and co-authors have shown in “An Inquiry Into the Nature and Causes of the Wealth of States,” high taxes depress job growth, whereas states with zero or low income taxes outpace the others in job growth decade after decade. New Jersey was a high-growth state until it added an income tax in 1976. A National Bureau of Economic Research report released this month demonstrates that when a state adopts a corporate income tax or raises it, the result is “significant reductions in employment and income.” California is the poster child of such tax hikes. No surprise that despite California’s sunny climate, some 171,000 residents have fled that state in the past four years. Many have gone to Texas, which altogether gained 533,000 residents relocating from other states. They moved for better job opportunities. “Toyota didn’t leave California and move to Texas for the weather,” says Moore. It’s climate that counts, but it’s the business variety. Cuomo glosses over this reality, falsely claiming that his tax-free business zones, called Start-Up NY, make it “less expensive for businesses to locate in New York.” If that were true, private-sector job growth in the state would not be an anemic 1.3 percent, far below the national average of 2.3 percent during the past year. The 41 companies participating in Start-Up NY have produced an average of just 43 jobs each. Pathetic. Shortly after his re-election, Cuomo finally leveled with New Yorkers by issuing his long-awaited verdict on fracking. He banned it. Count on thousands more New Yorkers along the Southern Tier who had hoped to stay and earn a living in a new, booming natural gas industry to flee now to Pennsylvania and other fossil fuel-friendly states. Oil and gas development made North Dakota the big winner in last week’s Census Bureau report. Where else are Americans choosing to move? Arizona, Colorado, Florida, Montana, Nevada, South Carolina and Texas. All low-tax states. It proves what you see Florida advertising on television: It’s not how much you make; it’s how much you get to keep. 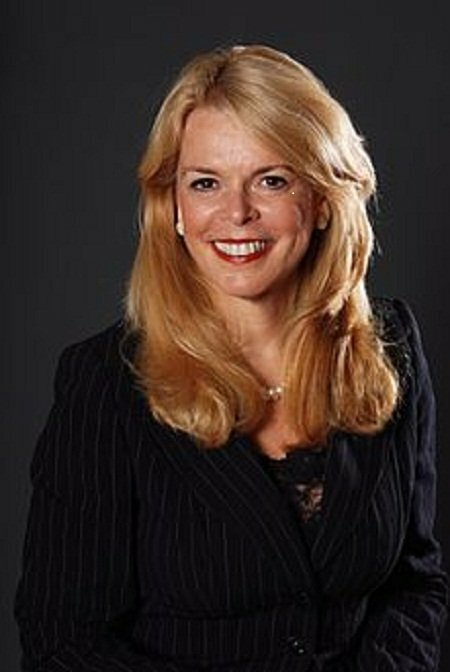 Betsy McCaughey, Ph.D., is chairwoman of the Committee to Reduce Infection Deaths and a senior fellow at the London Center for Policy Research.